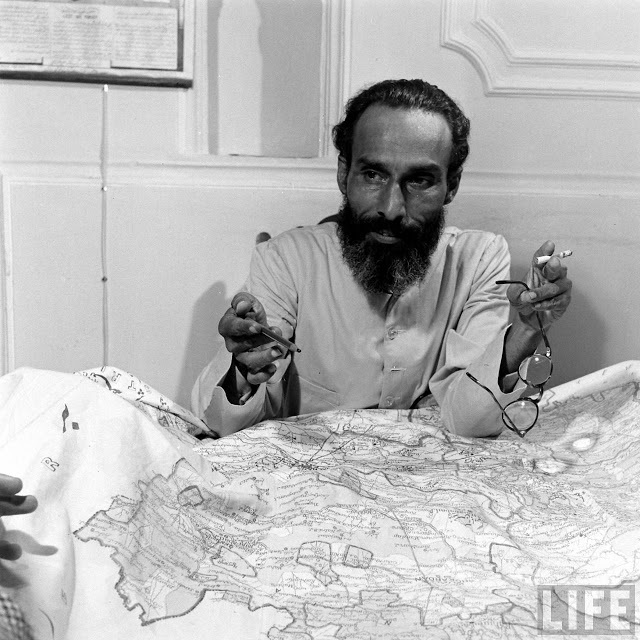 Qasim Rizvi browsing a highly detailed map of Hyderabad State. Was this the face of British Intelligence? © LIFE.